Good news/Bad news this week, as is the tradition I will let you know the bad news first. Unfortunately the open house that was scheduled for this Saturday the 11th had to be canceled (sorry wine and cheese lovers.) We are looking at dates in January to reschedule and will let you know as soon was we settle on one. Now the good news, the cancellation was due to a wonderful opportunity that I am taking advantage of at Louis Boston. Louis Exposure is a series of pop-up shops that showcases new designers and businesses over the course of the holiday season and they have invited us to participate. I’ll be there this Saturday from 11-7pm and Sunday from 12-5pm taking orders and selling books. The shop is located at 60 Northern Ave., right next to the ICA so if you are in the neighborhood, swing by and check it out. 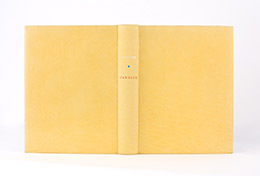 This entry was posted in News and tagged bookbinding, boston, cambridge, custom bookbinding, high-end designs, Louis Boston, Louis Exposure, paper goods, pop-up shop. Bookmark the permalink. Both comments and trackbacks are currently closed. Looking forward to the open house and wishing you much success at Louis Exposure!